Do you remember the old days of coming home from a night out? Your clothes and hair smelt of smoke, and if you were like me, you had no voice. Now, the anti-smoking laws have really cleaned up the air quality of licenced premises. Having said that, if you live above, below or next to a chronic smoker you might feel like the bad old days are back. Smoke drift causes much angst for non-smokers. While the strata reform process has indicated that this will be addressed for new strata schemes, this doesn’t help people in existing schemes. What can you do to prevent smoking in a lot or on common property? You can ask your Owners Corporation to take action. The Owners Corporation has two options. It can change its by-laws to introduce a by-law prohibiting smoking on the common property of your scheme. Clearly, this does not prevent an owner or occupier from smoking within their lot. The second option is to document the problem and request the Owners Corporation take action under section 117 of the Strata Schemes Management Act 1996 (NSW) in the NSW Civil & Administrative Tribunal seeking that the owner/occupier cease all behaviour (which can include smoking) that causes a nuisance to other owners/occupiers. 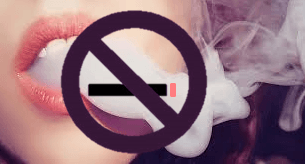 There is a CTTT, the predecessor to the NSW Civil & Administrative Tribunal (NCAT), precedent where it was determined that smoking within a lot was causing a nuisance to other owners and occupiers. There was evidence that the smoking of occupiers in one lot was causing considerable interference with other residents and the offenders were ordered to stop causing a nuisance and to take all necessary action to prevent smoke odour from their cigarettes entering other lots and the common property. You should seek legal advice before taking either of these options as each situation is different. Also, advice is needed to ensure that you obtain the appropriate evidence, as just saying you are affected by the smoke is not sufficient. Please contact Shane Ball Licensed Strata Manager and Managing Director at PRECISION STRATA for assistance with your strata title management needs (email : info@precisionstrata.com.au).